New device will be around the same price of the KeyOne and launch in October. 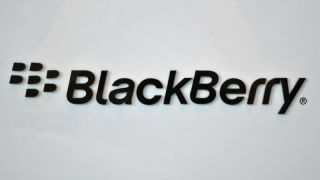 BlackBerry could be set for a sensational return to the world of business smartphones, according to parent company TCL. The manufacturer of BlackBerry's smartphones has announced that it will release a companion device to the KeyOne that will ditch the physical keyboard in favour of a full touch screen. In February, TCL promised that it would launch as many as three devices by the end of 2017 but now the company has revealed that its next smartphone will launch in October. The KeyOne launched at Mobile World Congress at the beginning of the year and it is due time for news regarding the company's next device. According to Mahieu, the new touchscreen smartphone will retail at around the same price of the KeyOne and give consumers more choice when it comes to the range of BlackBerry devices available. While diehard fans of the brand may prefer a physical keyboard, the KeyOne is an outlier among modern smartphones and users have become accustomed to full touchscreen devices. BlackBerry's new smartphone will likely be a follow-up to TCL's DTEK 50 and DTEK 60 which it made before becoming the company's official manufacturer.